Carcass of a dead Brown Pelican on Whiskey Island. 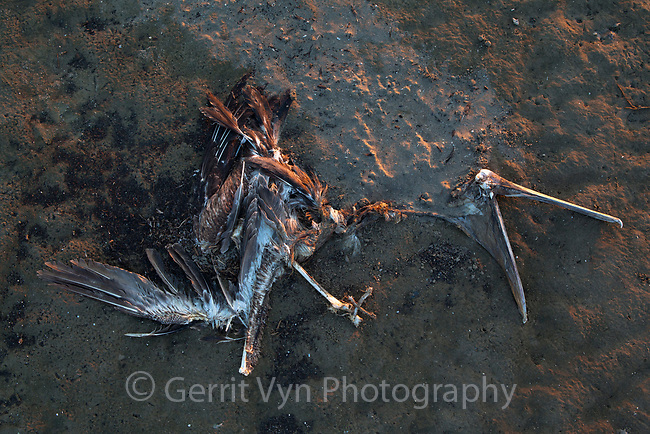 The long term effects of the BP oil spill on wildlife are yet to be understood. Terrebonne Parish, Louisiana.